A DUI conviction in California is a serious matter, and it’s something you absolutely want to avoid. The best way to avoid a DUI conviction remains the simplest; if you anticipate driving, don’t drink. As serious as a first D.U.I. conviction can be, in California a second driving under the influence conviction is even more severe. The sentence for a second D.U.I. conviction includes mandatory jail time as well as higher fines and probation. If you are charged with DUI in California after you have already been convicted for a previous driving under the influence, you’re in a tough spot. 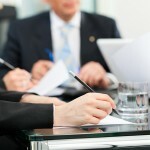 You’ll need the quality legal help that only an experienced California D.U.I. defense attorney can provide. If a defense attorney represented you on your first driving under the influence charge, then you already know how important it is to have the counsel and services of a good D.U.I. defense lawyer. You also know that since you face the possibility of jail time, going it alone is just too risky. With a second driving under the influence charge, help from an experienced driving under the influence defense attorney is imperative. If you are still on probation from your first driving under the influence conviction, then you also face a probation violation charge on top of the second driving under the influence charge. Drivers facing D.U.I. charges should also understand this; if at the time of your first arrest you were initially charged with D.U.I., but the charge was later reduced or dismissed, you are not facing a “second” driving under the influence. Legally, it’s still your first. But if you’ve been through the process once, you know it’s important to retain the help of a good D.U.I. defense lawyer. If you find yourself charged with driving under the influence in California, whether it’s the first time or the second, save yourself distress and confusion. Get the help you need and call an experienced California DUI defense attorney as quickly as you can.